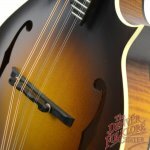 Collings is known for their exquisite instruments that project a loud full bodied and crisp tone and this new Collings MF Mandolin in no exception to that well deserved reputation. 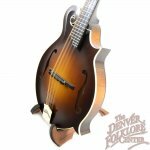 Bass notes are punchy yet fully balanced with the bright present treble tones. 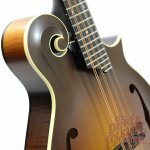 Checker patterns show through the tight grain of the Adirondack Spruce top- a result of the meticulous hand carving and graduation that takes place in Collings Austin, Texas shop. 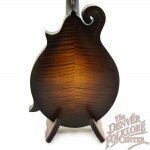 The one piece back is exquisitely figured and shows tight curl patterns throughout. 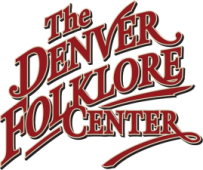 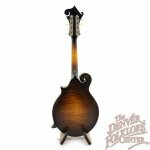 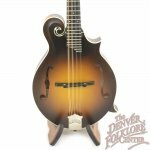 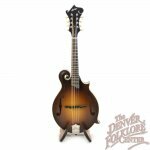 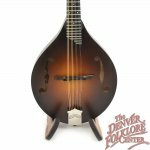 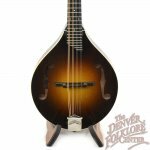 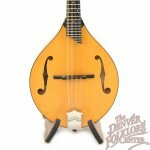 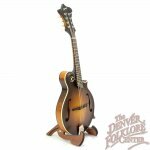 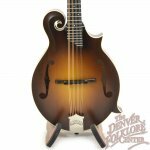 This new Collings Mandolin is for sale at the Denver Folklore Center and includes a hardshell case made for Collings by the TKL Case Company.